The Otis E. (Buck) Banks Club of the Dallas Fire Department Health Insurance does not exist. Rather, the name is associated with a not-for-profit organization, which has very limited information on the Internet. It appears you must be a Dallas firefighter to have access to the club. Otis E. (Buck) Banks Club of the Dallas Fire Department is also reported to be an automobile insurance company, but there does not appear to be a website with quotes or plans. According to the Texas Department of Insurance, Otis E. (Buck) Banks insurance agency has an average of 2500 policies. The company has been rated on the Texas Department of Insurance accident and health index as far back as 1999. The company has had minimal, if any, complaints as the reporting for each year shows zero complaints filed. The Otis E. (Buck) Banks Club is an established not-for-profit organization, which provides a $3000 death benefit to fallen firefighters’ families. The monthly dues are only a few dollars for members. The Otis E. Buck Banks Club raises money through an online fundraiser. Proceeds of sales of online animated flags go to the burial fund to help cover costs of firefighters who give their lives in the line of duty. The not-for-profit organization is a voluntary program available to fire fighters and individuals who wish to contribute. The not-for-profit organization was established in 1942. The Texas Department of Insurance contains minimal information on the Otis E. (Buck) Banks Club. However, in 2008, the company had assets of $403,598. Premiums were reported in the amount of $94,241. In 2010, the not-for-profit reported revenues of $145,250, and gross receipts of $511,070. There are no reported amounts for the Otis E. (Buck) Banks automobile agency. Although it is not clear on the Dallas Fire Department website, it appears that the firefighters are covered under United Health Care for medical insurance. 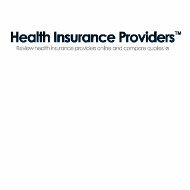 Compare and receive quotes from active health insurance providers by typing your zip code into the free rates tool now!